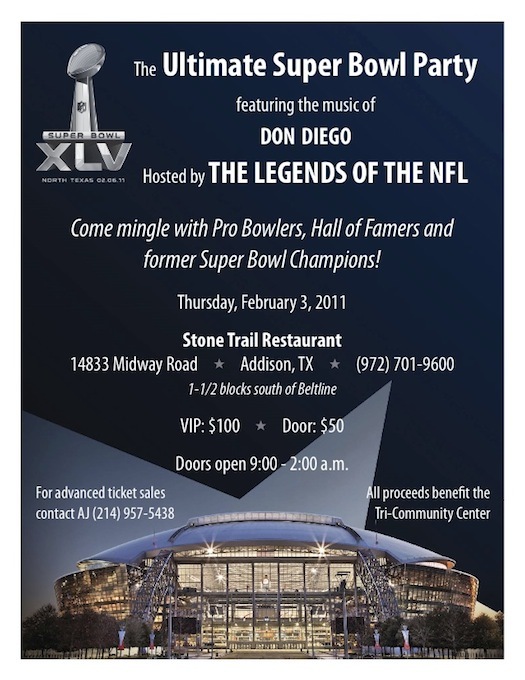 The Ultimate Super Bowl Party will feature music by Â Jazz musician,Â Don Diego. Super Bowl Champions and NFL Hall of Famers, Ed â€˜Too Tallâ€™ Jones and Thomas â€˜Hollywoodâ€™ Henderson are scheduled to attend. For more information about the event or to Â order tickets, Texas Concierge Connection.